Leaders at all levels are increasingly challenged to deliver success from teams consisting of bright, motivated, millennials who have grown up in the age of cyberspace. Many seasoned executives are intimidated by their lack of technical background and the gap in language, perception and understanding between them and their young teammates. Brett Williams keynote on leading in the age of cyberspace capitalizes on his experience transitioning from a successful leadership career in the combat operations community into the high tech world of IT and cybersecurity. Brett explains that his approach was based first on the principal that leadership is technology agnostic and that he would continue to follow his top three leadership principles as he took on his new roles and responsibilities. He identified key actions he had to take to build credibility and confidence with his new team. And, he leveraged his deep operations experience to open doors and create opportunities that had a significant lasting impact on how the Department of Defense approaches the mission of cyber security. Its all about leadership and Brett’s approach was to make cybersecurity a commander issue not an IT issue. You need to take the same approach in business. Cybersecurity is a strategic business issue that takes teamwork and leadership to line up the efforts of the Board, the C-Suite and the technical staff to ensure the business grows and prospers despite the risks inherent with running a business in the age of cyberspace. 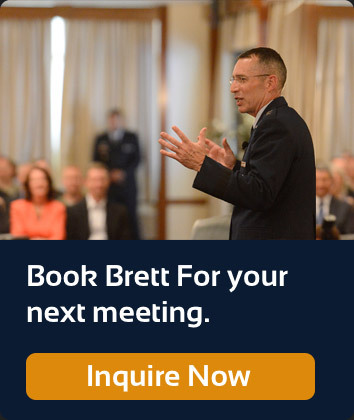 How Can Brett Help Your Organization?